With the launch of Cruel Seas drifting ever closer, we’re taking a look at each of the fleets that feature in this new game of motor torpedo boat action. This week, it’s the turn of the Royal Navy. Despite the Royal Navy’s successful use of light coastal forces in the Great War, the Navy found itself almost completely bereft of MTB or coastal forces in September 1939 when war again broke out. True, a few fast, small, agile boats were in service, but they were a pale imitation of what must come. Worse still, they were few in number and distributed throughout a hugely spread out empire and more useful for liaison, flying the flag rather being truly effective fighting boats. The Royal Navy in 1939 was a tremendously powerful force, as when the war was considered inevitable by 1936, money was put into it, as also the RAF, to the detriment of the British Army. A Britain without a huge and powerful navy was unthinkable, but the new money pumped into it was spent on the whole on the Big Ships, the Battleships, Cruisers and Carriers that were seen as war winners and certainly vessels that projected symbols of power. Early in the war, however, the Admiralty grew more concerned about the German actions in the Channel and the North Sea. With a few capital ships and a ravaged destroyer force after the Narvik campaign, the Germans turned to their light forces to inflict damage to the UK fleet. Small pinprick attacks grew to savage attacks on the British coastal convoys and those, supported by aggressive Luftwaffe and U boat attacks, forced the Admiralty to re-examine its attitude to light forces. The ’E’ or enemy boat threat had become real and it stimulated some frantic development in private shipyards and the Navy started to decide what vessel they needed to fight the sleek fast and powerful E boats. Great Britain never built a vessel as fast or as deadly as the S boats, instead fielding many types of MTB, and motor gunboats. 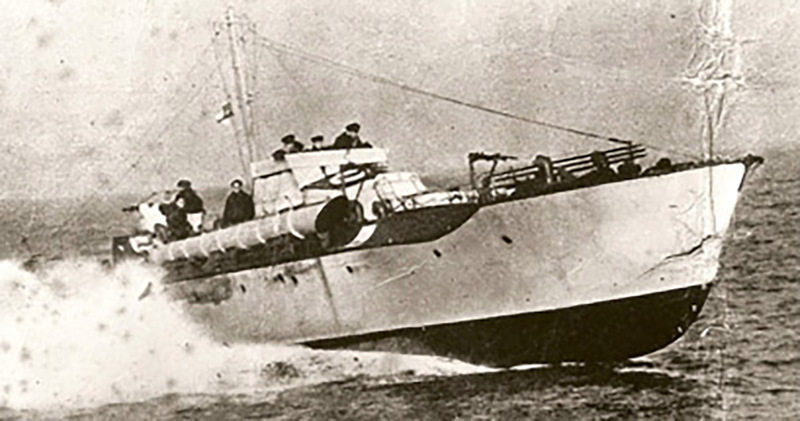 After a slow start, the Royal Navy helped by construction in USA, Canada and India, built an extraordinary catalogue of excellent small boats, supported by larger vessels which gave serious firepower, and using the characteristics of each boat to maximum effect, fielded mixed formations, supported by destroyers or powerful gun equipped LCTs. A Vosper Motor Gun Boat (MGB) leaving port! They generally fought at night and using radar and radiotelephone, coupled with RAF and fleet air arm support and even secret information from intercepts they fought the Kriegsmarine to a standstill and by 1944, with hugely superior numbers and technological advantage truly ruled any waters which they chose to dominate. 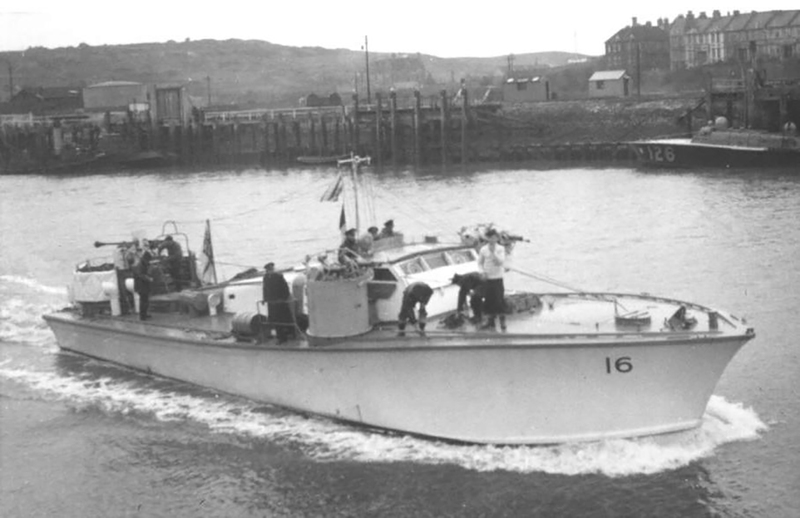 The Royal Navy differed greatly from the world’s other small ship flotillas in that it employed 3 main, and other smaller, types of class of boat. 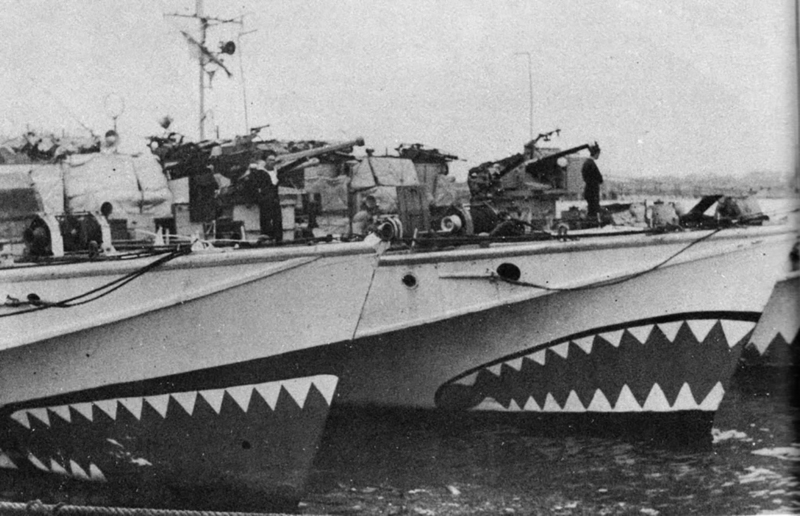 These were the MTB motor torpedo boat, The MGB motor gunboat, and the ML motor launches. Confusingly the MGB’s, later on, were reconverted to carry torpedoes, so identifying the boats can be confusing; in Cruel Seas, you will see how the different performances and weapon configurators will mirror the tactics of the real vessels. Mostly the boats were wooden built and powered by petrol engines, meaning they were light and fast, but vulnerable to return fire and of course fire hazard. The key shipyards were Vosper, the British Power Boat company, Thornycroft and the Fairmile company. The majority of MTBs were built by Vosper, generally of length less than 100 feet, if hence designated short, ‘over 100’ were deemed ‘long’. The Vosper’s were about 70’’ long. Their 3 petrol engines could take the speed up to 40 knots for a brief time. An auxiliary engine was also fitted to allow silent running at 8 knots. Towards war end, the trend was to add more and more armament and kit to each vessel, leading to combining the MTB with the MGB, the larger gun armed vessels. Late war Vosper’s were packing not only 2 torpedo tubes, but power operated 6 pounder turrets and smaller guns besides. By far the largest group of Royal Navy vessels were the ML, motor launches, used as maids of all work, harbour defence, antisubmarine work, convoy escorts, minesweeping and air-sea rescue. An MTB on the move! The Fairmile company produced a mass production vessel, which had good seagoing qualities and was used also for mine laying. The Fairmile B followed this, 398 being built in the UK, and 180 more in the Commonwealth, an impressive total. They showed their suitability by one flotilla even crossing the Atlantic to Trinidad via Iceland! Their most famous boat was probably the Fairmile D or ‘Dog’ boat, a dual MTB/MGB, possibly the best-armed vessel size for size in the world. From February 1942, 229 were built and saw action all over the world. The main anti-shipping weapon was the torpedo, of the two types in the RN, either the 18’ or the 21’ calibre. The torpedo was literally fired by a cordite charge and launched at a speed of 40 knots to reach a 10,000 yards maximum range. Gun armament is a book in itself, but in short, the early boats were laughably equipped for close defence or offensive action. Early boats had 4 Lewis guns in a mounting placed on a turret looking like an oil barrel. Soon enough this was replaced by the more effective twin Vickers MkV .5-inch MG in a power-operated turret making it a very deadly weapon system. The belted ammunition could fire 700 RPM, and it was all controlled hydraulically, the gunner who could use it against aircraft or surface targets. By the middle of 1941, the Oerlikon 20 mm cannon became available. This Swiss design with drum magazine was light but hard hitting with a range of 6000 yards. It was fitted to all manner of vessels, sometimes in a twin mount and by the late war in a twin powered mounting. The 2 pounder or Pom-Pom was widely used on MGB and MLS’. Using a powered mount, it shot at 98 rounds a minute, out to 3500 yards. Ammunition was in belts of 14 rounds. Some Canadian boats boasted the efficient 40mm Bofors gun, the same as equipped some S boats. A Fairmile D bristling with guns. To complete the heavy guns, late war boats could boast a power-operated semi-automatic 6 Pounder. This 57mm gun was quick loading and could hit targets out to 5000 yards. It even had a rocket flare projector to illuminate targets on night operations. Some boats could be equipped with mines if needs be and others used for minesweeping. Depth charges were also often carried though few submarines were sunk by these fleet vessels. More often the depth charges were used offensively by dropping them in the path of an enemy’s vessel (needing taut nerves and skill) and more often dropped off the rear to deter pursuing enemy vessels. Individual skippers insisted on all manner of weapons and equipment. Stripped Lewis guns were often placed on torpedo tubes or on the bridge. Smoke floats, hand grenades and flares were also carried, and a smoke generator was common to most boats. From a slow start, the Royal Navy learned quickly, built boats, trained men and developed tactics, both offensive and defensive that would create an effective and aggressive fighting force. By wars end the small ships would cooperate by radio with all manner of other forces, bombers, coastal command, shore stations destroyers, all united in the mission plan. The battle for the English Channel was largely won by 1943, the S boats too few and overextended to match the ever-improving British boats. The battles of the East Coast, the North Sea continued to the last days of the war, the area of East Anglia being dubbed ‘E boat Alley’. Of all the Coastal forces, the British emerged from early sleepiness to become the masters of the shallow water war. Mistakes were made, but learning was quick and innovation massive. The mid to late war coastal forces were clever, technologically savvy and bold. Germany fought a brave and intense coastal war, but was outnumbered, poorly supplied, technologically inferior in the all too important radar/communication race, and in the end outfought by emboldened British and American light forces, who had a moral and material superiority, let alone total control of the skies. 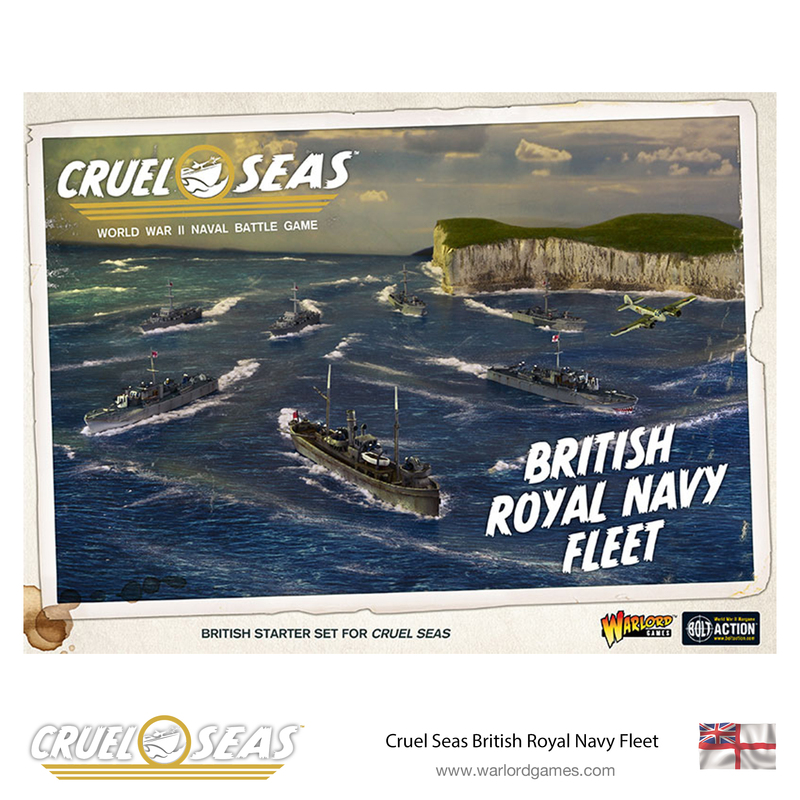 The post Spotlight: The Royal Navy in Cruel Seas appeared first on Warlord Games.